There were two ways this song has spoken to me. The first being from an ‘anti bully’ perspective. I don’t care how old you are, we all are subject to the ‘haters’ who seem to have no other goal in life than to tear-down others. Sadly the world is full of these people. 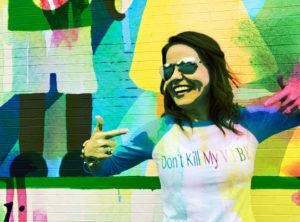 Even at 40 years old I still encounter those who want to “Kill My Vibe”. My message is simply this… Don’t let anyone bring you down. 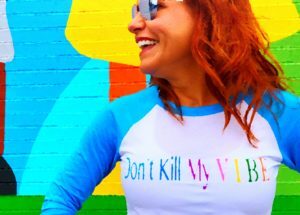 Don’t let them kill your joy and defiantly don’t let them Kill Your Vibe! This song pumps me up to stand tall (even though I’m only 5 ft) against the people at any age who want to bully their way through the world. By ‘standing tall’ really what I mean is I choose to ignore & disconnect from the haters. I unfollow them in social media & I don’t let them in ‘my world’. I don’t retaliate or lash-out, I just keep smiling and doing what I do. The second and more important way in which this song speaks to me is in reference to my inner dialogue. I find sometimes I’m my own worst enemy. I allow an inner voice to use works like “I can’t” and I allow self-doubt to creep in when I should know better. At the end of the day, it’s not what others say which really brings us down, it’s what we tell ourselves; it’s what we believe about who we are. 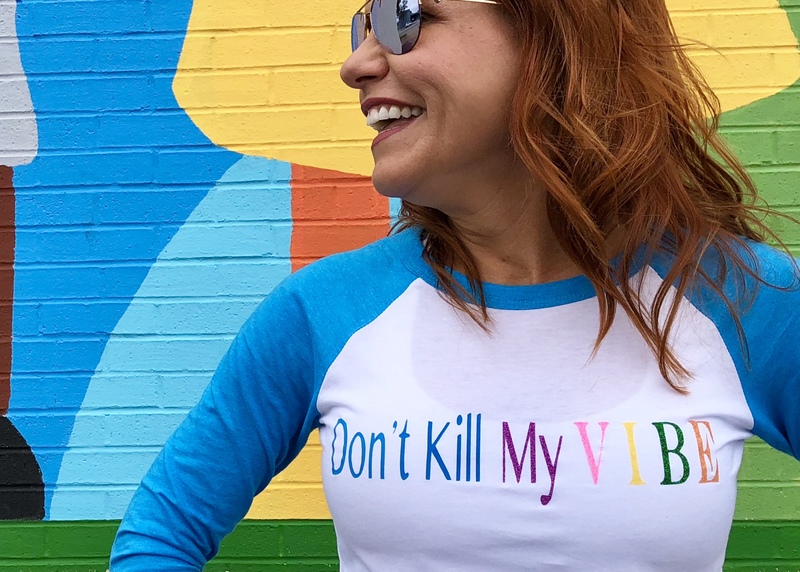 This song, “Don’t Kill My Vibe” reminds me to not allow the unkind words or actions of others to influence me but also and more importantly, don’t let my own negative thoughts Kill My Vibe. It reminds me to stay confident & positive; to keep doing the right things no matter what anyone else does or says. This song reminds me to shut down that devil on my shoulder telling me I’m not good enough, I’m not thin enough, I’m not fast enough… I am. 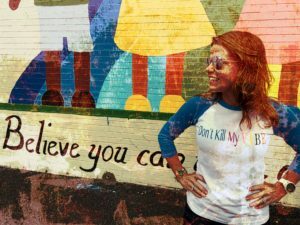 If you are having a bad day, someone (to include your inner voice) is coming against you with the negative, turn this song up as loud and you can and sing along…. Don’t Kill My Vibe! This is a jam that will get you totally pumped and ready to take on the world!! Let your VIBE shine through for all to see!! ~A Positive Choice. A Positive Move.